How do I set this thing up? Setting up and calibrating a home surround sound system can be a daunting task if you haven't done it before. This is an easy to follow guide which tells you exactly how to do it properly. I do go into some detail about what is going on, so if you want to understand your system then be sure to read it all! There are two types of surround sound system. You have the 'home theater in a box' type system where you buy everything from one manufacturer. You don't have as much freedom to tweak the sound with a setup like this, but you can still set the volume levels accurately to get the most out of it. More advanced systems generally comprise an AV receiver, with 5, 6 or 7 speakers connected, plus a subwoofer or two. Plugging them all in is one thing, getting them to sound good together is another. 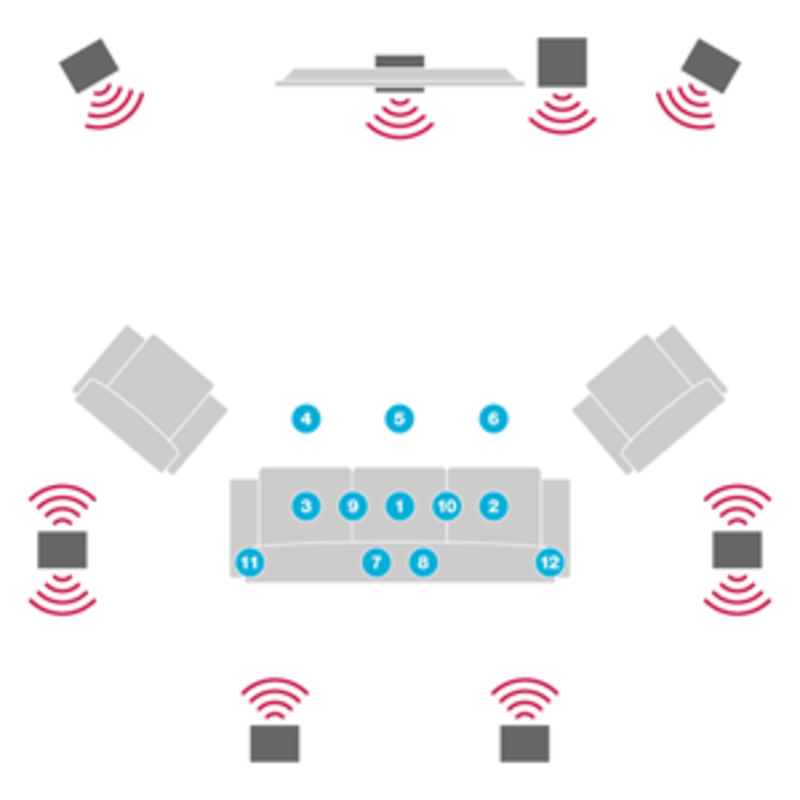 This guide isn't just about set up and speaker locations, but also calibration of your surround sound system for the best possible sound. It's not tough, so let's get on with it! So what is the .1 about? 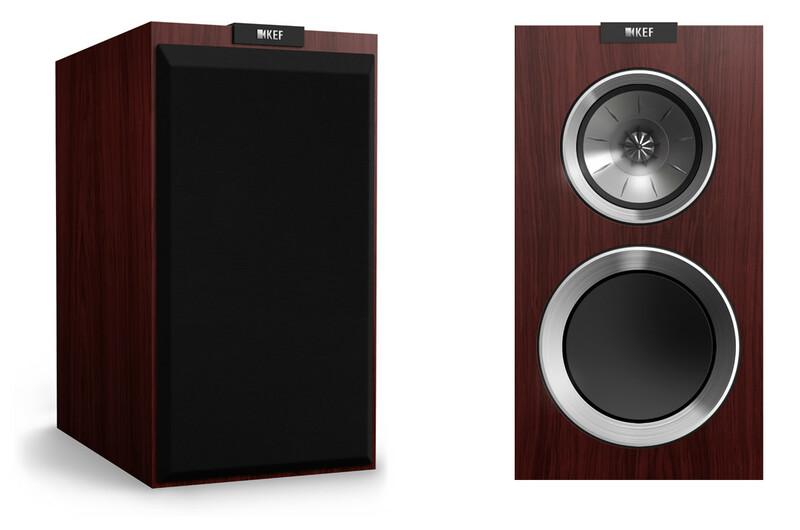 The .1 added to the end of a 5.1, 6.1 or 7.1 system simply denotes the subwoofer. So a 5.1 is 5 surround speakers and a subwoofer, a 6.1 is 6 surround speakers and a subwoofer and a 7.1 is... Well can you work it out? The first thing to do is to recognise what it is that you're looking at. Most home theater / cinema systems are 5.1 systems. 6.1 and 7.1 systems are covered later in the article, but first of all if you have a 5.1 system, what you'll have is 5 speakers, a subwoofer and an amplifier / receiver. 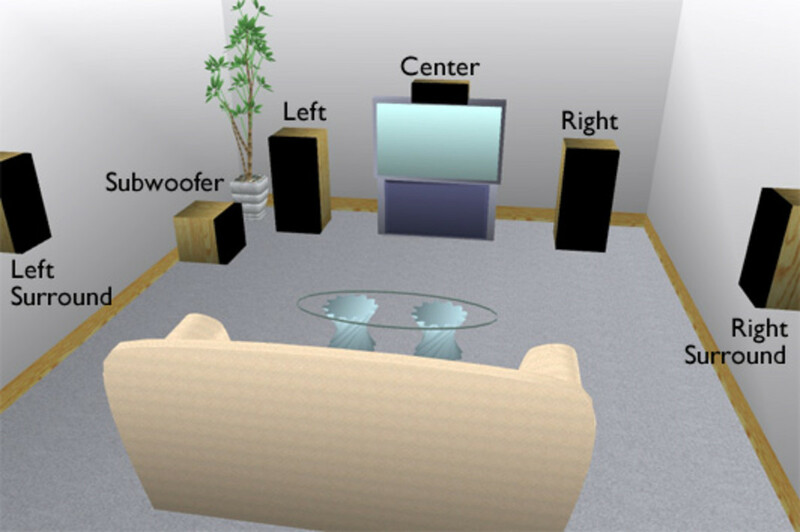 To set them up properly, you need 3 speakers at the front, one either side of the tv and the centre speaker either directly above or below it, the other two speakers to the side of the sofa, aiming directly at your ears and the subwoofer can go pretty much wherever you want it in the room, although generally you'll get the best results if you place it against a wall or in a corner. This is how it should look. You don't put the rear speakers behind your head, although they do handle the rear effects. Wiring the speakers up to the amplifier is fairly straightforward, you just have to make sure you connect the + to + and - to - terminals. You need to ideally have the front 3 speakers as close as you can get them to the same height so you don't get a strange effect when effects pan from left to right or vice versa. Make sure you get some good separation on the front left and right speakers, if they're either side of the TV cabinet so the TV is squeezed in the middle in between two speakers, the front soundfield won't be very wide, so don't be afraid to put them some distance away from the TV, although ideally they'll be equidistant from your listening position. This is a 6.1 setup. It's the same as the 5.1 version, but you have an extra channel behind your head which helps with the rear surround effects. This can really help the surround effect. The more room you have behind you the better as if it is so close you're resting your head on the speaker, you're not going to get a good effect, but if you have several feet behind you, then you'll be fine. This is how a 7.1 surround sound setup looks. There are two speakers behind your head. This sort of setup has a really good field of surround sound behind and in front of you. This is the way I have my system set up! It does involve a couple more speakers and more wiring, but it is certainly worth it in my opinion. So you've got it wired in. How do you calibrate it? Now comes the fun part, where you adjust the levels and calibrate the system. The speaker levels need to be set so they are an equal volume match for each other at the listening position. This means they will then compliment each other and one won't be way louder so effects will move around the room properly and sound natural. There are two ways to do this. If you have a low end system, the home theater in a box sort of setup, then the best way to calibrate is to use an spl meter. These don't cost a lot and make things far easier than trying to calibrate by ear. You need to play a test tone through your receiver one speaker at a time and set each speaker to the same level on the spl meter. This is done from your normal sitting position. As long as they're all the same level relative to each other, it doesn't actually matter too much what that level is, but a commonly used level is 75 db for each speaker in turn. The subwoofer usually under reads on the spl meter due to their inaccuracy at measuring bass tones, so you may need to boost that up a little higher to have it matching the rest of the speakers. If you have the next level up from an all in one and have a receiver and speakers then you can get better results. Most receivers nowadays have an auto setup system which will calibrate for you. Different manufacturers have different systems, Denon, Onkyo and Marantz receivers have Audyssey, Yamaha have YPAO (Yamaha Parametric Acoustic Optimizer) and Pioneer have MCACC (Multi Channel Acoustic Calibration). There is also another AV manufacturer called Anthem, who use something called ARC, which stands for Anthem Room Correction. All of these systems attempt to do the same thing though which is set up your system for you, although the consensus tends to be that ARC is the best, followed by Audyssey, with the others behind that. This is a matter of opinion and is the sort of thing AV geeks argue about, but that seems to be the way most people in the AV world think as far as I can tell. Anyway the way they work is that you set up a microphone which is supplied with the receiver at your listening position, the receiver will then play a test tone through each speaker in turn and then calibrate system levels and EQ the sound for you. There are still a couple of things you need to remember when doing this though. One thing to remember is that you need to make sure that the room is as quiet as possible. Turn off any fans, close the windows etc as you don't want any banging, booming or rumbling from buses driving past to affect the final result. Set the subwoofer gain control to the middle of the dial. Set the crossover frequency on the subwoofer to maximum. You could put the microphone on your head. But I don't recommend it! The easiest way of holding the microphone at the correct height is with a tripod. These don't cost a lot so buy one. Set it up at your main listening position, pointing straight up at the ceiling at ear height, then run the auto calibrate routine. If you don't have a tripod, you can put the microphone on your head and move around to different positions, but it's a bit of a pain to do it this way! That's not to say I haven't done it like this myself in the past, but I'm glad I bought a tripod. A lot of these systems will give you a better result if you take multiple readings, you want to be roughly around the main seating position though as if you try to use different seats it will mess up the final calibration. Get as many readings as possible, usually the system asks you to move the mic 6 or 8 times. The more information it gets, the better the results. There is a diagram below with suggested mic placement positions. The more advanced systems ask for more positions, if yours asks for 6 or 8 or so, just use the first 6 or 8 positions on this diagram for an idea of where to put the mic. Remember that you're not calibrating for every possible position you're ever going to sit in on the sofa, but instead you're measuring the room for automatic room correction so make sure you do move the mic around. The first position is the main listening position so that's the most important, the sound will be optimised around that area. After the receiver has ran through its auto calibrate routine, then check what level the receiver has set the subwoofer (also known as LFE) level. 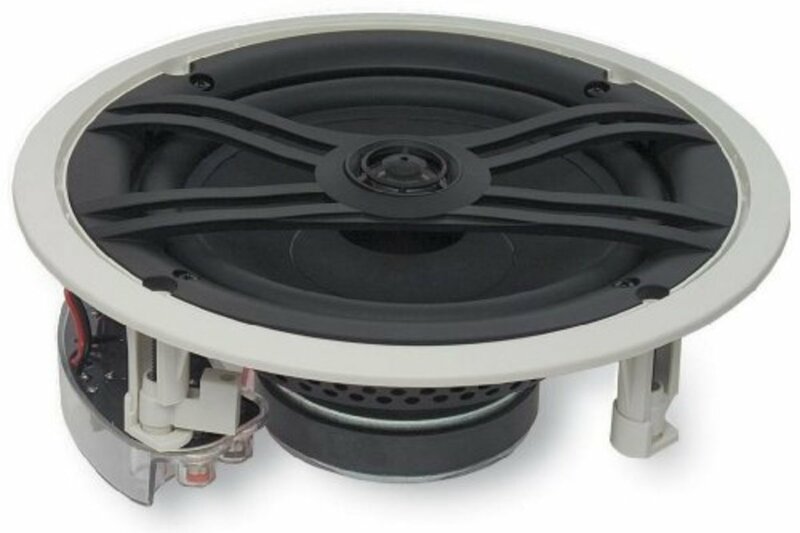 The subwoofer usually has its own amplifier and the receiver will try and match the subwoofer output/volume level to the same level as the rest of the speakers, which may mean it has to either boost or reduce the level. The amount the receiver has had to boost or cut this level will then show up on the receiver. There is only so much this can be cut or boosted, if the receiver is showing -12 or +12 for LFE level after calibration, then it is at its upper or lower limits and your subwoofer may be producing too much or too little bass, but the receiver has done all it can to correct this, but can't get it to optimum range as your intervention with a bit of dial adjustment is required. If this has happened, simply adjust the gain on the back of the subwoofer up or down, depending on the reading, then calibrate it again by rerunning the receiver auto calibrate routine. The ideal is to get it as close to 0 as possible, then there is no boosting or cutting between the receiver and the subwoofer, which leads to a minimum of distortion. If it's a few db above or below it's not the end of the world, so you don't need to get too obsessive, but just try and make sure it's not at the top of bottom of its range. Different rooms affect sounds in different ways so sometimes you may need certain frequencies boosting or cutting, which you don't need to worry about as the receiver will try and do this for you. It does this by playing a full frequency range signal to each speaker, measuring how the room affects the sound then adjusting the output level and also the equalisation of the sound to try and produce what will end up at your ears as a neutral sound. After you've ran the auto calibrate setup program, then you will need to adjust the crossover and LFE cutoff level. This is fairly straightforward. The THX standard is to set all of your speakers to small and then set the speakers crossover points to 80hz. The LFE channel for the subwoofer should then be set to 120hz. This is a different setting to the crossover setting for the speakers, you don't need to have the crossover setting for the speakers and the LFE channel setting at the same point, which is a misconception, always set your LFE / subwoofer channel to 120hz. These are the recommended settings that Audyssey, THX etc recommend. The reason you set the crossover for the speakers at 80hz is that speakers struggle to reproduce the lowest frequencies you'll get from a soundtrack, which can go down to 5-10hz in some cases. If you set them to only play from 80hz upwards, then they don't distort and the sound is cleaner. The subwoofer will take the strain instead and do the job it's designed for, which is creating the low frequency effects. If you have small satellite speakers, they may not be able to reproduce sound down to 80hz, so you may have to have the crossover for them set a little higher. The golden rule is you can always adjust your crossover up from what the receiver tells you it recommends, but never adjust it down, as if the system has had a go at playing a frequency through the speaker and it hasn't managed to reproduce it, the speakers simply aren't capable of playing any lower, so you get no benefit setting it lower than your receiver recommends. The whole purpose of Audyssey, YPAO or whatever system your receiver uses to calibrate, is get the sound in your room as close as it can to a reference sound, in other words how it is supposed to sound when the sound engineers produced the soundtrack. This can be quite a different sound to what you're used to if you've always set up your systems by ear, but if you want it sound how it should, then you should leave it like this. Of course as it's your system, if you decide you prefer the bass a bit higher for example, then you're free to do that. This is what is called reference vs preference. The reference sound may not be exactly to your taste straightaway, but you're best to watch a couple of movies before making up your mind so you can get used to it before making a decision to tweak anything. The one thing that you shouldn't do is mess about with the dials on the back of the subwoofer once you've ran calibration. If you are going to do it, then adjust through the receiver. If you move the speakers or subwoofer, or move the furniture around, then it's a good idea to calibrate again. Other than that, you're done. Go and listen to some music or watch some movies and enjoy your surround system, happy in the knowledge it's now all set up and performing properly! If you have any comments then please leave them below. Kindely suggest to protect the woofer from mouse/ rat which enters from behind the woofer opening has cut the wire/cable enter.Shoud i use steel wire mesh for protection from rat. One educated man in the field of electronics told me that for a 5.1 surround system I'd need 6 amplifiers. Is that true? I have two stereo amps, do I need 4 more? And how do I wire everything to have sound playing from one source? Hi, I bought Sony Home theater 5.1. and want to swap surround speaker with front speakers, can I do that? Sounds like you've broken the speakers by playing them too loudly. Sorry to hear that. 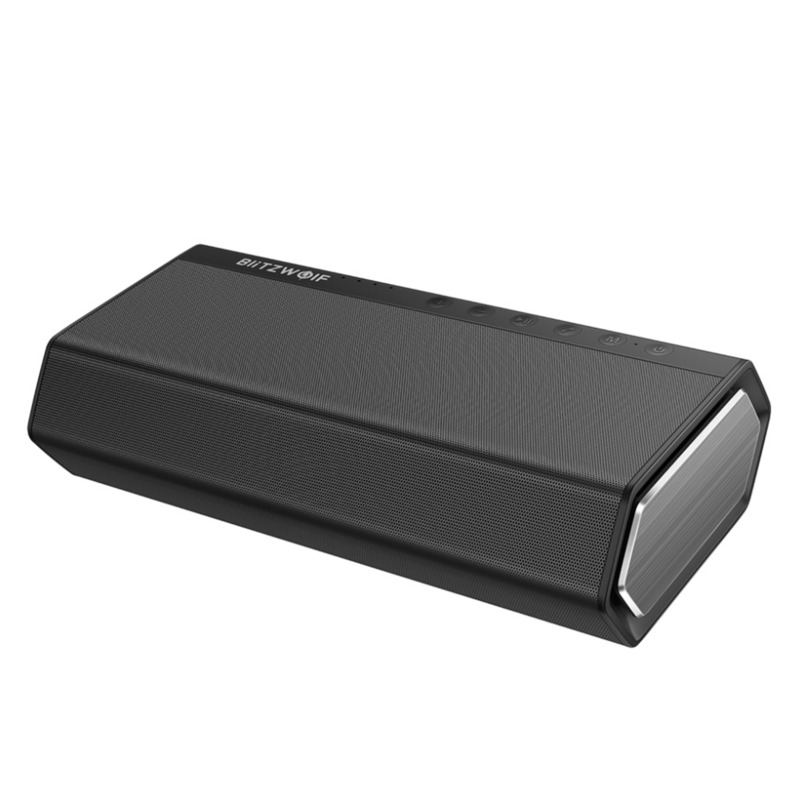 The only solution is to buy a more powerful system that can handle the volume you want. I have a problem with my onkyo HT s5850, before i calibrate my speakers just to testing the sounds, the speakers set is clear and deep the bass subwoofer is so heat pumping in other words what i bought is perfect for what i want, then later on, after reading the manual, i prefer to calibrate my surround speaker according to the manual setup to make the sound more powerful and in 360 effect, afterwards, done calibrating and start to test some heart pumping song from rock music, i was so disappointed because the sub woofer speakers are not responding clearly, i try to adjust adding some more subwoofer volume and it sounds like the speaker is going to break even in very low volume, i said "whats going on" i try to inspect some wiring and some given set up from receiver, everything is in garbage now, just like I'm listening to the mono speaker, i try also some default setting from receiver and its the same, please help me to solve my problem. am still waiting for help on my problem, the back 2 speakers sound very very low. please help me. i want here sound from all the 5 speakers loud. I am using microlab x15, is a 5.1 surround speakers with Creative Omni 5.1 soundblaster. can you review the onkyo ht-s3700 home theater. As long as they're plugged into the correct place there won't be a problem. Brought a 5.1 surround system from Argos and the two smaller speakers are the same each saying left on each speaker cable.. Will this still put out same sound even though they are same..? You need to check the settings on your cable box. Usually you can tell it whether you want to have the sound output to the tv through hdmi or to a separate output. Just go into the menu and adjust it there. hello, need help! I have a Kenwood 5.1 surround system, my husband had to hook it up through r cable box because had no more outlets in the tv. he hooked it all up and no sound comes out? help! plus the volume button goes from 0 to -99 is that normal? I'm not quite sure what you're asking here? I'm happy to help, but don't really understand the question? That part's a mystery to me too. Great article... now if you can just write an article on how to get the money to buy one I'll be sorted. Thanks for the great setup ideas. I have always been a little iffy on how to set up my speakers. Voted up! Very helpful hub on a very complicated subject. Thanks! Hi, what are you using for your source? Hello, what are you playing through it? It might be a case of setting up whatever you have going through it to 5.1 output through the menu. If you've done that then you should go through the output modes on the system itself. It may have defaulted to stereo plus sub, rather than 5.1, some do. Hi there, I have setup DENON HT-390XP with 5 speakers. front and subwoofer working fine, but I don't hear SR/SL speakers. is there missing setup on my own or I have to do something? any answer would be greatefull helps... thanks. Hi, you need to set up the cable channel up so it uses the hdmi for picture and optical for audio. It is possible to do this as I've done it before but I can't recall the exact procedure from memory. The first thing I'd do in your shoes is download the full manual from the denon website, the answer is in there although the manual is pretty comprehensive. After you've got the manual, do a search through google for ' batpigs denon to English dictionary'. Once you've read that you'll be able to understand the manual as it explains it well. Good luck! 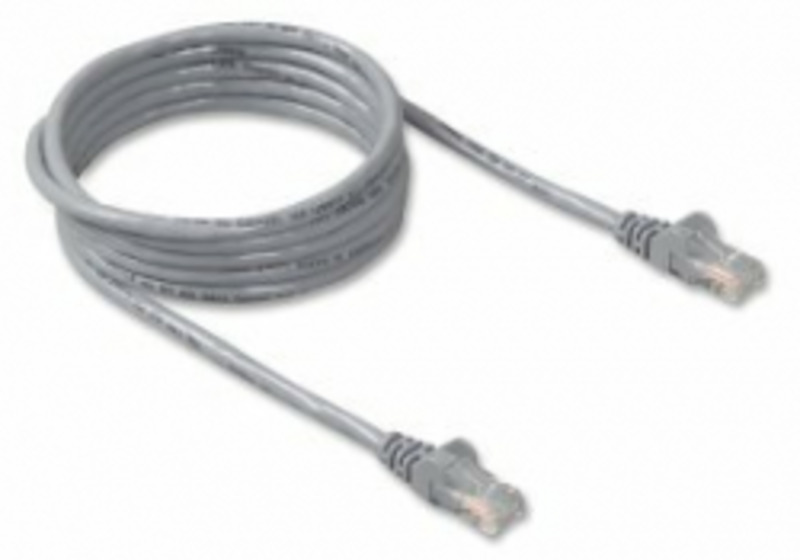 Ok sorry for delay waiting for optical cable! Hi Ulric, well sky will only play 5.1 surround through optical, not hdmi. It's a quirk of their boxes, you'll need a separate optical lead if you want to get 5.1. Your speaker wires do have to be connected positive to positive, negative to negative on both the receiver and the speaker side. If not, they will work, but not properly, so make sure that they are connected up correctly. As far as pro logic goes, there is an option in the denon menu to set up the rear speakers. If you want to use all 7 speakers, then you can go through the 'surround parameter' menu and set the rears to use dolby pro logic IIx, this will turn a stereo or 5.1 signal into a 7.1 signal by splitting the signal into all the speakers. 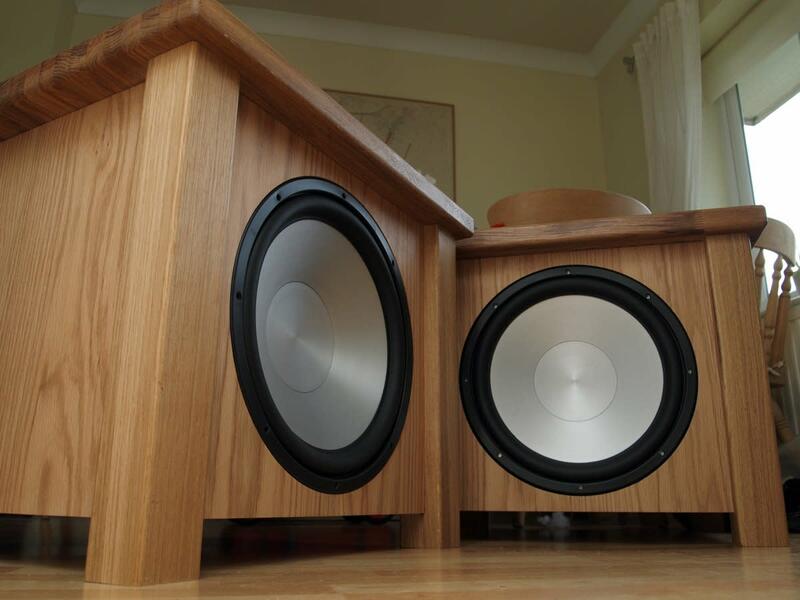 For 5.1 this will split the surrounds into the rear, or in your case the kitchen speakers to make pretend 7.1 out of 5.1. It is a very good effect in my opinion. 7.1 will just automatically play through all. You may need to go through the PS3 menu to set the sound output up correctly, as if you feed the denon a 5.1 or 7.1 signal, it should play through all of the speakers. I can't help with this side of things as I don't have a PS3. If you go to the denon website and search for your receiver, then you can download the full manual for it, it isn't password protected or anything so you can browse at your leisure. Definitely do this. I hope this has been of some help, if you can't work it out then I would recommend joining an AV related forum and asking in the receivers section. You will get lots of replies that can go into a lot more detail than I can here, I've found out a lot about AV over the years from doing that and most members of those types of forums are usually more than happy to help. Stick with it, you'll get there! Also wanted to add that some of the wires on a couple of speakers aren't red/black they are both white does it affect speaker if u put them wrong way round even though noise comes out of all speakers? Firstly thank you for taking time to reply. Set up is HDMI SKY to AVR- DENON 2113 then HDMI from AVR to TV using 20m HDMI Active TV Cables. I set up with Audyssey Amp Assign mode set to surround back, connecting 7.1 channel speakers using surround back speakers ( the 2 kitchen speakers being the surround back ones) then run program waited for all the tests to complete and saved configuration. Like i said when it tests u hear every speaker being tested but once finished and calibrated it seems sound only comes out of front 3. I also plugged in PS3 to try BLUray movie and the only difference was that the SUBw also worked. DENON only send basic set instuctions, the more detailed ones are on supplied computer disc. I tried to post the set how i wired the back but it says page is password protected, but basically all speaker connections used as 7.1 channel speakers using surround back speakers set up. I can't see 'pro logic mode' anywhere! Firstly thank you very much for taking time to reply. Set up is SKY receiver HDMI to AMP then separate HDMI back to TV. I read DENON instructions but can't see how to manually set all speakers. I also plugged PS3 into DENON and ran a BLUray movie that's supposed to play 5.1.
but again sound from front 3 and the SUBw but not other the other 2 back speakers or the kitchen ones. I wanted to paste the page from the PDF manual that comes on disc to show the page i used to wire the speakers but it says it is password protected. but basically I've set up as instructions to connect 7.1 channel speakers using surround back speakers. I used the Audyssey set up with amp assigned to 'surround back' mode. Can't see 'pro logic mode' not sure about that! Cheers hope that is enough info. Hi, if it plays out of all the speakers during setup, then it will be just a case of setting the output mode. What source are you playing from and how many channels is the sound? With 2 channel or even 5.1, you can manually tell the receiver to output through all 7 speakers & sub, using pro logic mode. Give some more info and I'll try to help. I followed yours and DENON AVR-2113 instructions to set up but when i've finished calibrating it only plays sounds out of the front 3 speakers!! i have 7 speakers (5 in Font Room 2 in Kitchen)all in the ceiling along with a decent SubW, the guy in the shop said plug the leads in for normal 5.1 then add the 2 kitchen speakers into the additional slots and set it as surround back speakers. when i run the set up all the speakers generate the test sound but when its finished all i get is noise out the front 3 and the sub! This is the first time i've invested in an AVR only because speakers were already in the ceiling when we moved in but now i'm wondering if ive wasted my money :-( can u help???? Please. very helpful hub... its nice to read your hub, thumbs up! Yes, this means your front right speaker and your surround right speakers have been detected to be out of phase. This can be a detection problem by the amp, but it usually means that the positive and negative speaker terminals, which are usually red and black have been connected to the incorrect terminals on your amplifier/receiver. They need to go red to red, black to black. You need to check your wiring to make sure it is all wired up correctly. On occasion speakers can be wired up incorrectly on the inside, so if the wiring is ok on the outside, it might be worth trying to take the speakers apart and check the wiring is ok internally. It's usually fairly straightforward to do this as the bass drivers often undo pretty easily do you can have a look inside. You probably won't have to do that, it's just a last resort. I have read you article about this sound system. I've been trying to calibrate my system and continue to get a message; Phase FR, SR. Can you tell me what is going on with this?